1. How do I know if I have a heat pump or an air conditioner? Are you ready to do some simple detective work? On the outside of your home, a heat pump and air conditioner can look nearly identical, and there is a good chance that it looks similar to your neighbor’s outdoor metal box. Although a heat pump provides both heating and cooling to your home, there is a simple way to determine if you have a heat pump by testing the unit in heating mode. From your thermostat or control system, turn the “heat” ON. Once you feel the heat coming from your return vent, head outside to observe that metal cabinet. If it is operating and you don’t pay a gas or propane bill, you most likely have a heat pump! Case closed! 2. When do I need to schedule maintenance for my heat pump? Since your heat pump is designed to heat and cool your home, it may be operating year-round. Depending on your climate, it’s a good idea to schedule a cooling checkup in the spring and a heating maintenance service call in the fall. Many dealers offer pre-season specials on inspection packages during their typical slow times of the year. Seasonal preventive maintenance on your heating and cooling system may guard against many unexpected failures and could maximize the lifecycle of your heating or cooling unit.1 So, if you have determined that you have a heat pump (see #1), be sure to schedule pre-season maintenance. 3. Is a heat pump better than an air conditioner? Both a heat pump and an air conditioner are designed to cool your home using the refrigeration cycle. To determine if one provides improved performance over another, you have to compare the particular size, cooling features and efficiency ratings. But if your home needs a heat source, a heat pump can pull double duty — cooling and heating your home year-round. Your air conditioner is designed just to keep your home cool! 4. Why isn’t my heat pump keeping me comfortable? When installed, heat pumps are sized for your home according to specific calculations. If a heat pump is a wrong size, it may not keep you comfortable in your home. Oversized units may create bursts of warm or cold air, tricking thermostats or control systems into shutting off the system before the entire house reaches the desired temperature. An undersized heat pump may not be able to generate the cooling capacity required for your space. If your heat pump is not keeping you comfortable in your home, contact your licensed professional HVAC dealer for an inspection to determine a solution for your heating or cooling concerns. 5. What is the lifespan of a heat pump? It’s tough to determine the actual lifespan of a heat pump because there are many factors that contribute to its overall performance — maintenance schedule, filters changes and proper installation are just a few. Location and operational hours may also impact the longevity of a heat pump. For example, if you live in an area with long, cold winters, a heat pump will run more than in temperate climates. The same goes for warmer climates. If you are looking for peace-of-mind, be sure your installation technician provides a limited warranty for their work and is qualified, experienced and recommended by a trusted source. Additionally, research the manufacturer’s available limited warranties, registration requirements and coverages for your specific heat pump. 6. If the temperature falls below freezing, should I manually turn ON my thermostat’s emergency or auxiliary heat switch? As long as you are comfortable in your home, there is no need to manually switch on your heat pump’s auxiliary or emergency heat switch on your thermostat or control system. 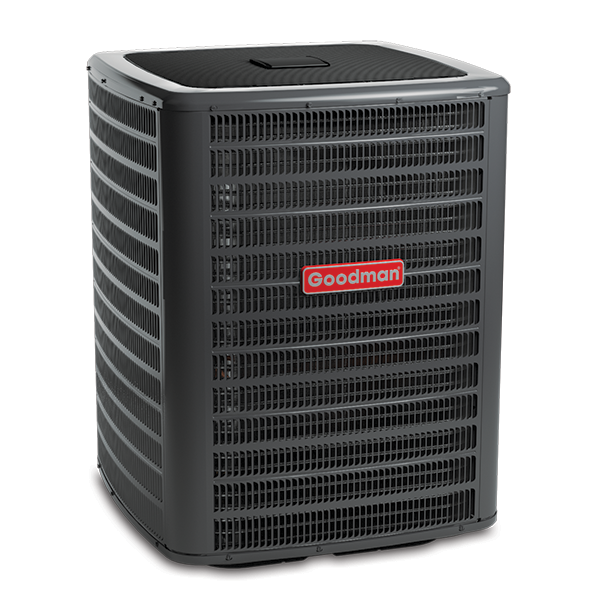 The auxiliary heat will kick on if the heat pump needs additional heating capacity to meet your set temperature. If you find that you continually need additional warmth in your home, contact your local, licensed professional HVAC dealer for a consultation. 7. Do I have to cover my heat pump in the winter? No, do not cover your heat pump in winter! To function properly, a heat pump needs to pull in the outdoor air through the side vents and exhaust through the top of the unit. If you cover your heat pump, it may not operate as designed and may cause damage to the system. 8. Is it normal for my heat pump to have frost on it? When it’s cold outside, the outside of your heat pump may develop a coating of frost or light ice. Don’t be alarmed! When this happens, the defrost control senses it and automatically starts a defrost cycle. During this period the auxiliary heat strips are automatically activated to warm the indoor air. However, if you notice a heavy coating of ice, contact your licensed professional HVAC dealer as soon as possible. Heavy ice accumulation may indicate that your heat pump needs servicing. 9. What’s the difference between SEER and HSPF on a heat pump? SEER and HSPF are the efficiency ratings assigned to a heat pump. The SEER (Seasonal Energy Efficiency Ratio) measures the efficiency of a heat pump in cooling mode. HSPF (Heating Season Performance Factor) measures the efficiency of a heat pump in heating mode. The higher the SEER and HSPF number, the more efficient the unit is designed to be in heating and cooling mode. 10. Why are some rooms colder or warmer than others? Your HVAC dealer should have properly sized your heat pump for your specific home during installation. If your heat pump is not sized correctly, it may not be able to generate the capacity required for your space or shut off before the entire house reaches the desired temperature. But if your heat pump is sized properly, your home may have a duct issue. A poorly designed duct system may results in poor airflow, leaving some rooms colder or warmer than others. If your ducts aren’t sealed properly, or an air leak goes undetected, airflow may pass through your system unevenly. To properly determine the specific cause of a warm or cold room, contact your licensed professional HVAC dealer. 1 Maintaining your Air Conditioner. n.d. http://energy.gov/energysaver/maintaining-your-air-conditioner. Home improvement television shows are booming! But whether its Lifetime Channel’s Military Makeover with Montel or the latest home flipping show, there’s a good chance that renovations include an upgraded heating and cooling system. You may be able to live with an outdated kitchen or bathroom, but imagine living with a rundown heating and cooling system. If you want home improvements to improve your quality of life, don’t overlook your inefficient heating and cooling system. Upgrading your heating and cooling system may help with your monthly energy bill, overall indoor comfort, and give you peace of mind. Homes that were part of the new construction boom in the late 1990s and early 2000s may have their original heating and cooling systems. These aging systems may be inefficient and/or in need of constant repairs. If this sounds like your HVAC system, you may want to consider adding a new high-efficiency heating and cooling system to your home improvement list. Since heating and cooling costs can typically make up about 48% of your utility bill, upgrading to higher efficiency equipment may be a wise home improvement choice.1 Your licensed professional HVAC dealer should be able to tell you the energy-efficiency ratings of your current gas furnace, air conditioner and/or heat pump. This rating(s) may help you determine if you are throwing potential energy savings out the window. The energy savings that you get with an upgraded HVAC system may save you money on your monthly utility bill. When it comes to efficiency ratings, the higher the number, the more energy efficient the equipment was designed to be. The good news is that since 2006, minimum energy efficiency standards, HVAC technology, and performance features of heating and cooling equipment have improved. Collectively, this can often be a good thing for your wallet. Upgrading to a higher efficiency HVAC system now may help you cut monthly energy cost for years and years to come. That sounds like a good home improvement option! Home improvements and renovations should make you ‘feel’ good about the space where you live. While a particular flooring may look pretty, not much can compare to the whole-home comfort that air conditioning provides on a hot and humid summer day. You may love your beautifully renovated spa-like bathroom, but that sense of serenity is smashed if you freeze after exiting the shower. Some home improvements may visually improve your home. However, they may not fix your comfort level. According to Jennifer Bertrand, interior designer for Lifetime Channel’s Military Makeover television series, “The biggest trend in design is wellness. If your house is in order, your mind is in order.” A well designed and properly installed heating and cooling system may make your entire house, not just a single room, ‘feel’ comfortable. Heating and cooling system manufacturers continue to design and incorporate technologies that may collectively improve your overall indoor comfort. HVAC systems that include variable-speed options and advanced HVAC controls provide additional benefits for homeowners who prioritize indoor comfort. For example, HVAC equipment with variable speed fans automatically adjusts the amount of heated or cooled air blown through the vents into your indoor spaces. It gently ramps up or down according to heating or cooling demand, minimizing the uncomfortable temperature peaks and valleys often found with the ON/OFF cycle of a single-speed unit. When your interior spaces reach the pre-set temperature on the thermostat or HVAC control system, the lower speed may maintain that set temperature longer than if the system turns off. This allows for steady, consistent comfort in your home. Upgrading your home’s heating and cooling system may just mean an investment in the quality of your home life! If you are like most people, your family’s indoor comfort is a priority: especially when outdoor temperatures are extreme. But in typical fashion, a heating or cooling system often stops working at the worst possible time…the weekend, holidays, or when you simply want to relax. Living with a failed HVAC system can be inconvenient and very uncomfortable! When you have an aging, inefficient system, abrupt breakdowns and continuous repairs may start to add up - both financially and emotionally! Eventually, even with the help of a highly skilled HVAC contractor, an aging HVAC system will start to show its age. If that’s the case, it’s time to include an HVAC upgrade to your home improvement list! To keep repair costs under control, you may want to establish a repair cost cutoff point - meaning that you will replace your heating and cooling system if repairs cost more than your set amount. If that’s the case in your home, you may want to start researching the cost-effective options available with a new system. When making your list of home improvement tasks, be sure you evaluate your home’s comfort system. Because no matter how beautiful the floors and cabinets are, no one wants to too hot or too cold in their home. 1,3 Department of Energy. (2018, Dec 28). Heating and Cooling. Retrieved from Energy.gov: https://www.energy.gov/heating-cooling. 2 Buying Tips. 2015. http://smarterhouse.org/cooling-systems/buying-tips. HVAC financing helps spread the cost of new equipment or entire systems over a predetermined amount of time. Why dip into savings you may have earmarked for another purpose, add to an existing credit card balance or even consider a home equity line of credit? HVAC financing can be an effective means to fit a replacement system or equipment into your budget without breaking the bank. It is important to review financing details to make sure you understand your financial responsibility. You should review the interest rate, repayment terms and the “small print” in any potential financing contract. Base your buying decision on long-term comfort and energy-efficiency. Don’t lose your cool over the initial sticker cost, or freeze up at the suggestion of a new high efficiency rated system. Enhanced energy savings can result in real, tangible returns when you invest in a high-efficiency system, especially when compared to your old unit or today’s base-efficiency units. A high-efficient system can also allow you to feel the difference compared to your old unit. Impactful innovations such as variable-speed fans, variable-speed compressor and heat exchanger technology have ushered in a new era of HVAC operation that enhances indoor comfort and performance. While your frugal urges may tempt you to opt for a base or minimum efficiency system, the least expensive option may not be the most cost effective solution considering the life cycle of a new, energy efficient system. High-efficient systems can realize uncompromised indoor comfort throughout your home, offer reoccurring savings on your monthly utility bill, and possibly increase the value of your home. Moreover, consumer financing can often cover the cost of an extended service plan. Extended service plans may minimize additional out of pocket expenses you face for the term of the service plan. What Do I Need for HVAC Financing Approval? Depending on the local contractor’s financing company, you may need to provide personal information and be subject to a credit check. Ask the dealer to provide complete information before you make a decision. No Interest, No Payment Loan - A loan in which no payments need to be made within a specific promotional time period. If the balance is not paid at the end of the promotion period, the borrower usually pays off the interest from the loan start. 1 Terminology was provided by the Electric & Gas Industries Association (EGIA), a non-profit organization dedicated to advancing energy-efficiency and renewable energy solutions through the home improvement and renewable energy industries. Heat Pump and Gas Furnace: What's the Difference? If you live where temperatures fall below 70°F, you most likely need some form of home heating system to stay comfortable in your home. Air-source heat pumps and gas furnaces are the common types of central residential heating systems. When installed and functioning properly, they can keep the indoors warm with the outdoor temperature start to fall. But do you use a heat pump or a gas furnace, and what’s the difference? *SEER: The Seasonal Energy Efficiency Ratio measures a heat pump’s annual energy consumption and cooling efficiency in typical day-to-day use. Currently, the minimum SEER rating for central air conditioners and heat pumps is 14 in the South and Southwest regions of the U.S. and 13 in the North. *HSPF: The Heating Season Performance Factor measures the efficiency of air source heat pumps. The higher the HSPF, the more efficient the heating performance of the heat pumps. New units in the United States have HSPF ratings from 7.0 to 9.4. *AFUE: Measures the Annual Fuel Utilization Efficiency for gas furnaces. This measurement describes how well fuel is consumed to produce heat by a gas furnace. As the AFUE rate increases, the efficiency of your gas furnace also increases. New furnaces manufactured in the United States are required to have at least an 80% AFUE. Every once in a while with indoor comfort, you CAN have it all! Precise, energy-efficient indoor comfort for every month of the year is like having your cake and eating it too! When properly installed and configured, a dual fuel technology indoor comfort system offers the incredible combination of year-round comfort and energy-efficient performance! A dual fuel system may come in the form of a packaged unit or a split system with two energy sources: the electric heat pump and a gas furnace. Dual fuel technology combines the cooling and heating performance that you get from a heat pump with the consistent heating capacity of a gas furnace. What makes this system so precise and energy efficient for heating is that it seamlessly alternates between the two energy sources for heating comfort, depending on your specific outdoor conditions. When the thermostat or control system calls for cool air, the heat pump unit functions just like a central air conditioner, it is designed to keep your home cool and comfortable even on extremely hot days. The system's switch point from the heat pump to the gas furnace can be set on the thermostat or control system by you or your dealer. Even on extremely cold days in winter, your dual fuel system is designed to provide energy-efficient, reliable, and consistent heat. Because certain energy sources, like electricity and natural gas, operate most efficiently during specific weather conditions, a dual fuel system may maximize efficiency, and cut heating bills. When a dual fuel system's switch point can be determined by you or your dealer, the specific energy source pricing can be incorporated into the cost and efficiency equation. If switching from the heat pump to the gas furnace reduces the time required to get to your set temperature, your energy cost of operation may decrease, and your comfort level may increase. Although the electricity may cost less than the natural gas in some areas, it may cost you more if your heat pump has to operate longer to meet your indoor temperature needs. The flexibility of using a heat pump and a gas furnace may provide the homeowner with energy cost savings. However, it is important to learn the utility pricing options from your local utility provider(s) and then discuss the potential savings a dual fuel system might offer with your licensed professional HVAC dealer. 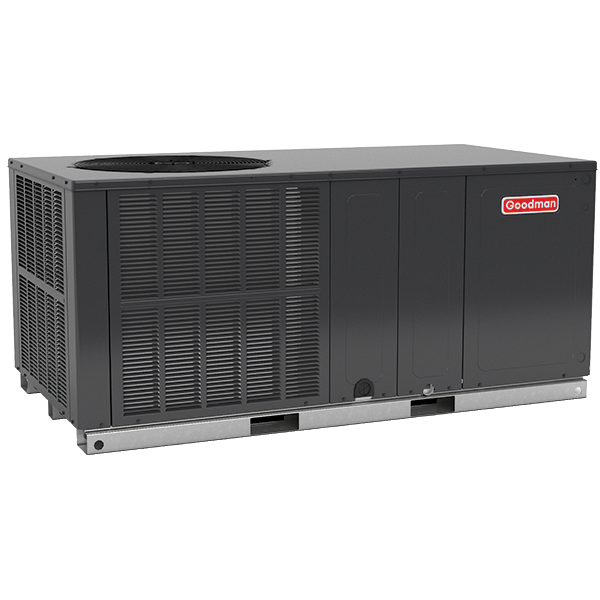 If you are looking to replace your air conditioner with a heat pump, your professional licensed HVAC dealer may be able to upgrade your system configuration so that your new heat pump works in conjunction with your existing furnace system. 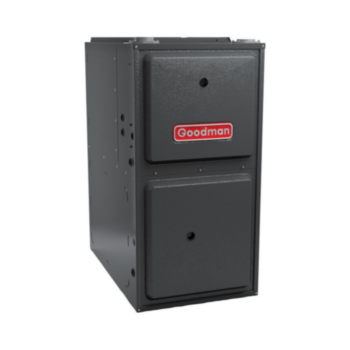 If you are not currently utilizing natural gas as a heating source but it is an option is your area, homeowners interested in dual fuel systems may be able to add a high-efficiency gas furnace. The gas furnace would be the secondary heat source instead of using the heat pump's electric heat strip when the temperatures drop. To find out whether a dual fuel system is an option for your home and how you may benefit, talk to your professional licensed HVAC dealer. 1 U.S. Department of Energy. Air-Source Heat Pumps. n.d. https://energy.gov/energysaver/air-source-heat-pumps. 26 April 2017. 2 U.S. Energy Information Administration. "Why Do Natural Gas Prices Fluctuate So Much?" n.d. U.S. Energy Information Administration. https://www.eia.gov/pub/oil_gas/natural_gas/analysis_publications/why_do_prices_fluctuate/html/ngbro.html. 28 April 2017. 3 U.S. Energy Information Association. Factors Affecting Electricity Prices. n.d. https://www.eia.gov/energyexplained/index.cfm?page=electricity_factors_affecting_prices. 26 April 2017. Every little penny counts! That’s why the U.S. Environmental Protection Agency’s (EPA) ENERGY STAR® program became the “most successful voluntary energy efficiency movement in history.”1 The ENERGY STAR® program highlights energy efficient products that have been certified to use less energy than their standard counterpart products. The idea is that when homeowners purchase ENERGY STAR® certified products, they can save money on energy costs. The U.S. Environmental Protection Agency requires all ENERGY STAR® products to be third-party certified. Products are tested in an EPA-recognized laboratory and reviewed by an EPA-recognized certification body prior to being ENERGY STAR® certified.3 ENERGY STAR® heating and cooling products must be proven to save energy without sacrificing features or functionality. In order to become an ENERGY STAR® partner, organizations enter into a formal agreement with the EPA. “As a partner in the program, organizations agree to abide by the ENERGY STAR® program identity guidelines to ensure proper use of the logo.”4 This partnership can provide homeowners with confidence that the product they are purchasing uses less energy than other products in that category. Why Choose an ENERGY STAR® Product? For Centuries, scientists, inventors and outside-the-box thinkers have been trying to manipulate substances in order to alter the temperature of the indoors! 1758: Benjamin Franklin and John Hadley, a professor at Cambridge University, experimented with the cooling effect of certain rapidly evaporating liquids. 1824: Michael Faraday, a self-declared philosopher, discovered that heat would be absorbed by pressurizing gas, like ammonia, into a liquid. Modern air conditioning appears to be an evolutionary invention that was built upon a series of successful (and not so successful) concepts. It took 80 years from Dr. Gorrie’s primitive ice-maker method for a group of individuals to develop a safe, non-toxic and easily-produced substance that could be used to provide indoor cooling for the masses. One of the compounds developed was R-22, a hydrochlorofluorocarbon (HCFC) that became a standard refrigerant utilized in residential air conditioners for decades to come. But as they say, history has a way of repeating itself. Decades later, scientists would discover that chlorine, a component of CFC and HCFC refrigerants, is damaging to the ozone layer. As a result, R22, the standard residential air conditioner refrigerant, was included in the 1987 Montreal Protocol list of substances that were to be phased out of production over time for new air conditioners and heat pumps. Under the Protocol, which was amended four times since 1988, total United States HCFC production and consumption should be phased out by 2030. Because R-22 was so widely utilized, it couldn’t be eliminated overnight without severe economic impacts to the private and public sectors. As a result, the Montreal Protocol and amendments allowed for a step-by-step phase out. This phased program provides homeowners the option of switching to chlorine-free refrigerants when they see the need to replace their current air conditioner or heat pump. Although the agreement was ultimately signed in 1988, the HVAC industry had to prepare for the mandated changes. Companies had to develop alternate refrigerant technologies, engineer new designs to accommodate substance characteristics, realign manufacturing to accommodate changes, and re-train dealers and technicians on the updates. This would take some time, but R-410A refrigerant, a hydrofluorocarbon compound (HFC), was soon considered to be the most common alternative to R-22. The Environmental Protection Agency (EPA) is responsible for implementing the R-22 refrigerant phase out for the United States. By January 1, 2010, there was a ban on the production and import of R-22.5 As a result, manufacturers of heat pump and air conditioning equipment redesigned their systems to accommodate R-410A, a chlorine-free refrigerant compared to R-22. The refrigerant would soon replace R-22 in the new HVAC equipment. Is R-410A Here to Stay? As stated, modern air conditioning has been an evolutionary invention that was built upon a series of successful (and not so successful) concepts. If history has taught us anything, it’s that progress will continue. Scientific discoveries, technological advancements, and even environmental policies and politics will continue to have an effect on the HVAC industry. Because of the global warming potential of many HFC refrigerants, the latest amendment to the Montreal Protocol, the Kigali Amendment, has proposed to phase-down the use of refrigerants such as R-410A. The phase down is expected to begin sometime in the 2020’s. The leading replacement for R-410A refrigerant is a pure, single component refrigerant called R-32, which has one-third the global warming potential of R‑410A. Some products with this next generation refrigerant have already been introduced in the United States. Due to some properties of these lower global warming refrigerants, codes and standards are being updated before their mainstream use, which is expected in the early 2020’s. In the meantime, homeowners replacing their aging air conditioning and heat pump systems with new R-410A equipment will know that they are purchasing a chlorine-free option, as well as potentially increasing the energy-efficiency level of the air conditioner or heat pump for their homes. 1, 3 Department of Energy. History of Air Conditioning. 20 July 2015. https://www.energy.gov/articles/history-air-conditioning. 3 April 2017. 2 Weisand, Dr. John. "Defining Cryogenics." Cold Facts (2010). https://www.cryogenicsociety.org/resources/defining_cryogenics/joule-thomson_effect/. 4 U.S. Department of State. The Montreal Protocol on Substances that Deplete the Ozone Layer. Washington D.C., n.d. https://www.state.gov/e/oes/eqt/chemicalpollution/83007.htm. 5 Environmental Protection Agency. Federal Register. 28 October 2014. https://www.federalregister.gov/documents/2014/10/28/2014-25374/protection-of-stratospheric-ozone-adjustments-to-the-allowance-system-for-controlling-hcfc. 3 April 2017. 6 R22 and Halon Critical Use Phase-out. n.d. http://www.epa.ie/air/airenforcement/ozone/r22andhaloncriticalusephase-out/. 3 April 2017. What is Variable Speed HVAC Technology? The cost of electricity isn’t getting any cheaper. In fact, the average retail price of electricity has increased from 10.40¢ per Kilowatt in 2006 to 12.55¢ per Kilowatt hour in 2016.1 So, how can you stay comfortable in your home and spend less on utility costs? The answer may lie with a variable speed technology central heating and cooling system! Variable speed technology enables a Heating, Ventilation, and Air Conditioning (HVAC) system to precisely adjust its output or capacity according to your home’s temperature demand. Unlike a base model or single speed HVAC system which cycles ON at 100% then OFF, equipment with variable speed technology may use less energy because it is designed to operate at multiple capacity levels. When one or more of these variable speed technology features is applied to your HVAC system, you may be able to spend less on utility costs without sacrificing your indoor comfort level. Variable speed technology refers to the type of compressor in your air conditioner or heat pump. The compressor is the heart of your air conditioning or heat pump system. It creates the cooling capacity for your system. Variable speed compressors allow a unit to run at virtually any speed between 30% and 100%. This feature allows for various levels of output depending on your cooling demands — full capacity for hot summer days or reduced capacity for milder days. It is a great energy-efficient option when compared to a single-speed unit. Variable speed technology can also apply to the type of blower motor located in the air handler or gas furnace. A variable speed blower motor can operate at various speeds to precisely control the amount of airflow throughout your home. In the winter, a variable speed blower motor may alleviate the “cold air blow” often associated with single speed furnaces or air handlers. If you were in a one-mile bike race, would you take the route with one hill or multiple hills? Which would require more energy? Electricity usage peaks when an HVAC system turns ON. A single-speed HVAC system is ON at 100% capacity until it reaches your preset indoor thermostat or control system temperature and then turns OFF. It’s like riding a single speed bike over a series of hilltops. It takes a great deal of energy to keep biking up multiple hills. Variable speed technology allows for a more consistent path. It often reduces the impact of a single speed's start/stop cycle, reducing the potential peak draw on your home's electrical service needs. Once your HVAC system reaches the desired indoor temperature, the variable option more precisely adjusts to the less demanding environment, minimizing the capacity required to maintain that temperature compared to a single-speed system. It’s like riding your bike uphill once, then leveling off on a flat road to the finish line — it requires less demand than the hill-laden route. A variable speed system may run longer than your traditional HVAC system, but at a level that requires less energy. This slow and steady operation offers some additional comfort benefits when compared to a single speed unit. Consistent Indoor Comfort – Variable speed technology may minimize the temperature swings often found with single-stage equipment. Rather than shutting down, the variable capacity prolongs the set temperature of your spaces. This allows for steady and consistent comfort in your home. Dehumidification – The longer an HVAC system runs, the more moisture might be removed from the indoor air. This may improve the balance between temperature and humidity, providing you with more comfortable interior air. Air Filtering – The extended run time at lower speeds may also allow more time for the circulating air to interact with filters or additional air quality system components. However, as with traditional systems, it is important to change out your filters according to your HVAC dealer or manufacturer’s recommendation. If you are concerned about your rising utility bill but don’t want to sacrifice your indoor comfort, you may want to consider HVAC equipment with variable speed technology. Talk to your professional licensed HVAC dealer to see if variable speed is right for your home. The best air conditioner is the one you don’t have to think about. It comes on the moment the indoor temperature set on the thermostat requires cooling performance, and then runs quietly and efficiently when needed. But when it’s time to perform routine maintenance, make repairs or replace your system, it’s helpful to understand how an air conditioning system works. Using electricity as its power source, the refrigerant flows through a closed system of refrigeration lines between the indoor unit and the outside unit. Warm air from the inside of your house is pulled into duct work by a motorized fan. The refrigerant is pumped from the exterior compressor coil to the interior evaporator coil, where it absorbs the heat from the air. This cooled air is then pushed through connecting ducts to vents throughout the home, lowering the interior temperature. It is estimated that the air you breathe inside your home is more polluted than the air outside your home.1 A cooling system offers just the basics with regard to enhanced indoor air quality for you and your family. Indoor air filtration can help maintain the efficient operation of your cooling system by removing a wide range of airborne dust and reducing airborne particulates that can build up on the surface of the cooling coil. It is important to change your filters regularly. As filters become loaded with particulates, your system has to work harder, increasing your cooling bills. Want to learn more? Check out our video on "How an AC works!" In school, kids learn that one ton is equal to 2,000 pounds. Logically, if you had a 4-ton air conditioner or heat pump, you would expect your 8,000-pound piece of equipment to arrive on a flatbed truck! But thank goodness that is not the case! The tonnage or weight assigned to air conditioners and heat pumps has to do with the fact that people used to cool spaces with blocks of ice. Before modern air conditioning, people rated their capacity to cool indoor spaces by the amount of ice that melted. When ice melts, it pulls heat energy from its surroundings. It takes 143 BTUs (British Thermal Units) to melt one pound of ice. The heat is transferred to the ice, which causes it to melt. In order to melt one “ton” of ice, you need approximately 12,000BTUs/hr. Do you see the ice/air conditioner connection yet? One British Thermal Unit (BTU) = the amount of heat you get from burning one kitchen match all the way down to the end. Your professional or licensed HVAC dealer should be able to determine the correct “tons” air conditioner or heat pump required to cool your home efficiently. It’s important that the proper size of an air conditioner or heat pump is matched to your specific home. And thanks to modern marvels, the tons of cooling have nothing to do with massive blocks of ice. Air conditioners and heat pumps use the basic laws of physics and the refrigeration cycle to maintain a comfortable indoor temperature when the outdoors heat up. The refrigeration cycle is based on the physical principle that a liquid expanding into a gas extracts or pulls heat from its surroundings. You can test out this basic concept for yourself with a water faucet and your hand! Put one hand in lukewarm water and then hold it up in the air. It will feel cooler than the dry hand, especially if there is some air movement. Why? Because the water is evaporating! As the water evaporates, it pulls heat away from your hand. The refrigeration cycle removes heat from one area and relocates it to another. To cool your indoor spaces, your air conditioner’s or heat pump’s refrigerant is pumped through a closed refrigeration system. The same refrigerant is continuously used over and over as it passes through the cycle! With induced pressure changes from the condenser coil, compressor, evaporator coil and the expansion valve, the state of the refrigerant is forced to fluctuate between a liquid and gas. It’s like a teeter-totter on a playground that doesn’t stop: liquid, gas, liquid, gas, etc.! This continuous cycle allows the heat to be transferred from inside your home to the exterior. The refrigerant comes into the compressor as a low-pressure gas. It is then “compressed” to become a high-pressure gas. The gas then flows through the condenser coil . Here the gas “condenses” to a liquid, and gives off its heat to the outside air. The liquid then moves to the expansion valve under high pressure. This valve restricts the flow of the fluid and lowers its pressure as it leaves the expansion valve. The low-pressure liquid then moves to the evaporator coil, where heat from the inside air is absorbed and changes it from a liquid to a gas. As a hot low-pressure gas, the refrigerant moves to the compressor where the entire cycle is repeated. Believe it or not, there is water in the air even when it’s not raining! Humidity is the amount of water vapor in the air. The more water vapor in the air, the higher the humidity. People may be able to feel when the humidity level is high, especially when it’s combined with high temperatures. Air with higher humidity has an increased amount of water vapor. As a result, sweat may not evaporate as quickly as it would with a lower humidity level. This phenomenon may make us feel hotter than the actual temperature because evaporation is slowed. Going back to the wet hand experiment - if the humidity level is high, it may take longer for the air to absorb the extra moisture on your wet hand. That means that your hand wouldn’t feel as cool because evaporation is slowed. This explains why it feels hotter when the humidity levels are high. Likewise, very low humidity can make us feel cooler than the actual temperature. This happens because the dry air helps moisture evaporate more quickly than usual. So how can an air conditioning help you feel more comfortable in your home? When warm air comes in contact with your air conditioner’s or heat pump’s cold evaporator coil, some moisture may be condensed out of the air, making your home feel less humid. The moisture collected by the evaporator coil goes to a drain and then it is sent outside, away from your home. But air conditioners and heat pumps are not meant to control humidity independently. It just happens to be an incidental by-product of the refrigeration cycle! Humidity also has something to do with the origin of the term “air conditioning.” Stuart W. Cramer coined the term “air conditioning” in his opening remarks to the American Cotton Manufacturers Association convention in 1906. Cramer, a leading figure in the textile industry, installed the first air conditioning system in the south. His intent was to create ideal humidity levels at his Chronicle Cotton Mills in Belmont, NC in order to ease the process of spinning yarn. The Growing Number of Air Conditioners! Air conditioning is continuously named as one of the top inventions in modern history. Most warm-weather states can give the nod to the air conditioner for their increasing populations. Can you imagine what life must have been like during those southern summer days? It was certainly different without an air conditioner! In the south, single-family homes were typically built with high ceilings to let the heat rise, tall windows to catch the occasional cross breeze, and large porches to shade windows from the sun’s heat. Old photographs often depicted people sitting on those expanded porches, hoping to catch a cool evening breeze. Outdoor living became part of the culture. However, people started to retreat indoors once air conditioning technology became more common. Air conditioning’s popularity began to increase when the equipment became more affordable to the common homeowner. By the 1950s, more than one million room air conditioning units had been sold. However, it wasn’t until 1977 that newly constructed homes tipped the scales of residential air conditioning. In 1977, 54% of newly constructed single-family homes had air conditioning compared to the 46% that weren’t built with air conditioning.5 The upward trend continued for decades. By 2015, the U.S. Census revealed that nearly 93% of newly constructed homes in the United States were built with air conditioning. However, the numbers also acknowledged that between 1997 and 2015, over 99% of newly constructed homes in the “south” were built with air conditioning.5 It appears that indoor comfort, whether for personal or economic reasons, will continue to advance and thrive! Thank goodness! 1 Southwest Wisconsin Technical College. Basic Refrigeration Cycle. n.d. https://www.swtc.edu/Ag_Power/air_conditioning/lecture/basic_cycle.htm. 7 April 2017. 2 Hill, Michael. NCpedia. 2006. http://www.ncpedia.org/air-conditioning. 5 April 2017. 3, 4 American Cotton Manufacturers Association. "Proceedings of the ... Annual Convention of the American Cotton Manufacturers Association." American Cotton Manufacturers Association. Charlotte: American Cotton Manufacturers Association, 1897-1944. 182. https://babel.hathitrust.org/cgi/pt?id=nyp.33433066400650;view=1up;seq=210. 5 U.S. Census Bureau. "Presence of Air-Conditioning in New Single-Family Houses Completed." U.S. Census Bureau - Air Conditioning. Washington D.C.: U.S. Department of Commerce, 2015. 1-20. https://www.census.gov/construction/chars/pdf/aircond.pdf.